We made mention early last month that famed Aussie outfit Baby Animals were reuniting for a very special show next month – at the Oxford Art Factory in Sydney on October 20. 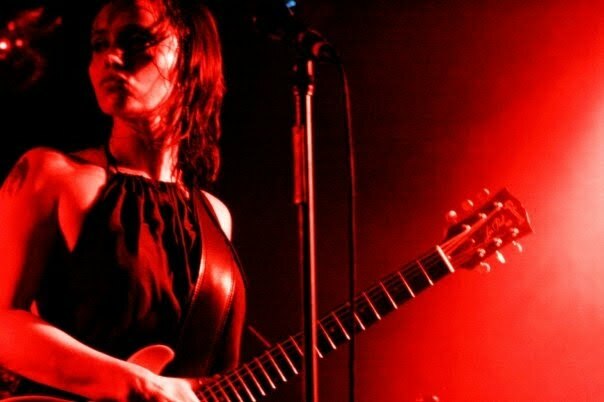 But now lead singer Suze DeMarchi has hinted that the show may just be the start of a new beginning for the band, who hit the upper reaches of the Aussie chart back in the early 1990s with tracks like ‘One Word’ and ‘Rush You’. “I can’t wait to get together with Dave again. Who knows, we might just squeeze out another Baby Animals album,” she teased in the official presser for the October 20 gig. Given there’s even an official Baby Animals FACEBOOK PAGE now been set up, we’d say the chances of getting that new LP are getting stronger by the day.